Long rehearsals and concert performances demand perfect tools - and this extends beyond the instruments. Improper seating can cause numerous problems and our range of orchestra chairs allow musicians to play in uncompromising comfort. 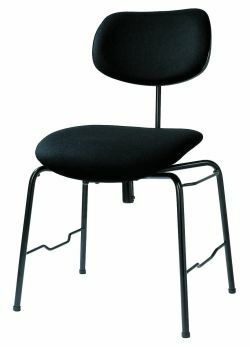 This best seller is a well designed, reliable chair for most instruments and musicians. The steel frame provides a virtually unbreakable chair, which is easy to carry and can be stacked in 15s to transport or store when not in use. Our unique posture-designed Musician chair has been specifically designed with the musician in mind. 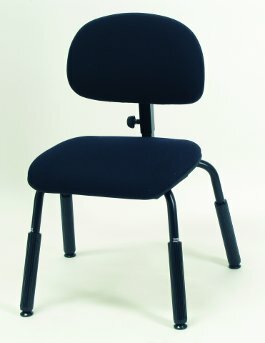 Long rehearsals and concert performances are eased with the chair's built-in lumbar support. A chair for professionals, yet affordable for schools, it is a "must try" chair. 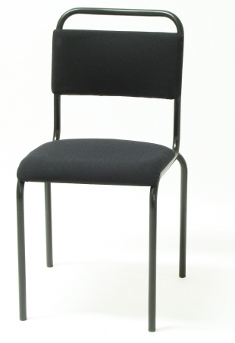 This chair is the preferred choice for a number of school orchestras including Repton School, Caldicott School, Music Theatre Wales and East Riding Music Service. We care about Conductor's too! 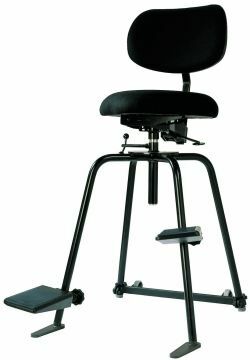 See our WB3 Adjustable Conductor's Chair with a height-adjustable seat and footrest. 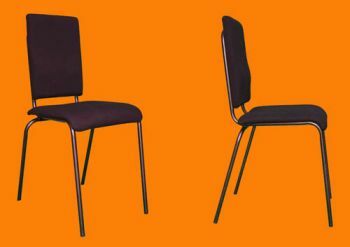 This chair is popular with professional orchestras. The upholstered seat provides long-term comfort for all seated musicians. With easy height and tilt controls, this chair can be stacked and transported in eights on a specially designed trolley. Whitebox3 are also proud to be the exclusive UK distributor of the Wilde & Spieth range of posture-designed chairs for Conductor's, Musicians, Bass Players, Cellists & Pianists. Musician Posture Chair by Wilde & Spieth. Features a strong frame of tubular steel (black or chrome) and available in either laminated beech veneer (natural or stained) or with padded upholstered seat and back. In the upholstered seat version, ventilation holes are standard and the rubber fibre material offers longlasting comfort with a seat that will return to shape, even after repeated long periods of sitting. Adjustable Musician Chair by Wilde & Spieth. 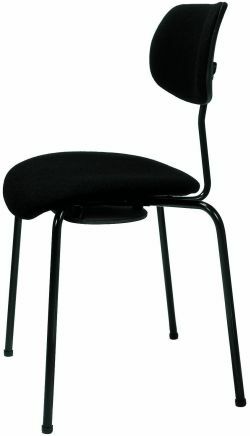 Musician's chair with the added features of adjustable seat height and position-tilting seat. 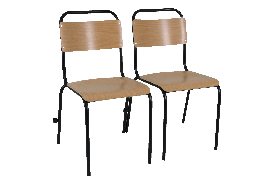 These chairs are also available with adjustable backrest and position-tilting backrest too. Cellist Chair by Wilde & Spieth. 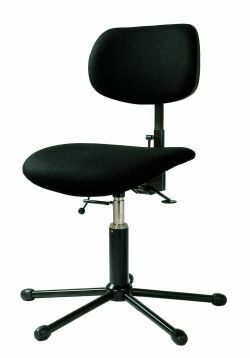 A five-legged star base (black or chrome) with easy seat height adjustment and position-tilting seat features a swivel seat (or non-swivel by request). The backrest is adjustable both in height and angle and the seat and backrest are available in either laminated beech veneer (natural or stained) or upholstered featuring a rubber fibre seat that returns to position after long periods of sitting. Bass Chair by Wilde & Spieth. A four-legged base supports a unique height adjustable seat and backrest with two adjustable padded footrests. The seat offers an anti-tip safety device and both seat and backrest are available in laminated beech veneer or upholstered. The round seat with ventilation holes is standard (non-swivel). Bass Travel Stool by Wilde & Spieth. 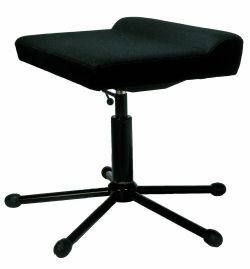 The Bass Stool features an upholstered rubber firbre seat with height adjustment and adjustable folding padded footrest. 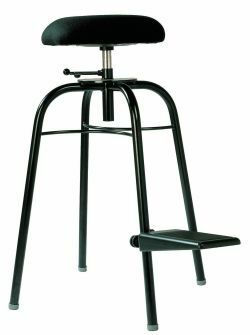 Five-legged star base (black or chrome) with height adjustable seat (non-swivel) anatomically formed with PU foam.